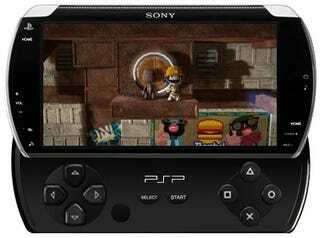 CNET's sources say Sony is mulling a PSP music store, to be integrated into the PlayStation Network. In light of other rumors, it's starting to sound like Sony wishes this whole "PSP" thing had gone down differently. They wish it was more like the iPod. Touch, to be specific. Let me clarify. Sony has a long, distinguished history of taking the long, wrong road when it comes to managing content on their devices. In this decade, that meant screwing up portable music. Minidisc and ATRAC hardware was eventually supplanted by regular MP3 players, but it was too little, too late—something which the company itself even admitted back in 2005. If we had gone with open technology from the start, I think we probably would have beaten Apple. If rumors of a flash-based PSP and expanded PS Network Store have even a grain of truth, it appears as though Sony feels like they've made a similar mistake, though a much less egregious one, with their portable gaming device. In building their original PSP ecosystem around the ill-fated UMD format, Sony was short-sighted, and blind to the inevitable march toward digital distribution.